During my time writing on this blog, I have prided myself on sharing my story honestly - giving you all of the details, including the good, the bad and the ugly. In fact, only the other week, I chose to share the birth story of baby Bean which was, in short, not pleasant at all and would not be something that I would want to read if I was expecting a child myself (this has now been removed from the blog as a result of some serious second thoughts on my part). Since the arrival of Bean, it has caught me by surprise how hard I have found it to come to terms with the renewed loss of my time, the upheaval to life and the sleep deprivation that is in full swing again. Don't get me wrong, we adore Bean and are slowly getting to grips with handling two children instead of one (including one incredibly colic-y baby) but these past few weeks have definitely required a positive outlook and lots of self care to keep ourselves sane and the children happy. 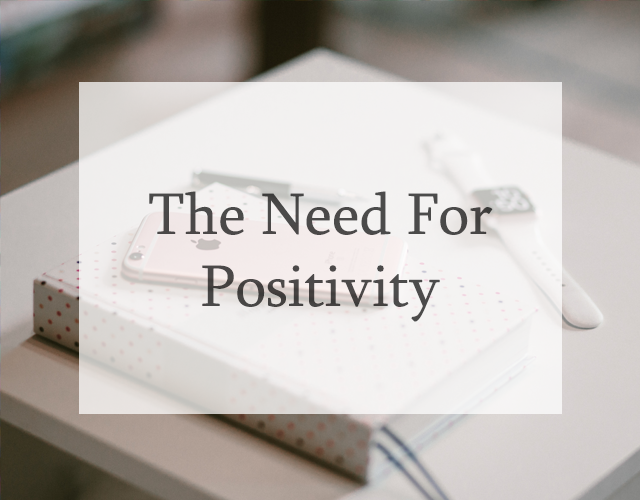 During this time, I have noticed that my blog posts - although honest - have had a tendency to air on the negative side, sharing the less pleasant things about being a parent of a newborn and bringing a negative vibe to the blog. 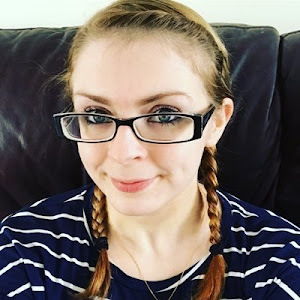 In a similar way, when I was pregnant with Bean and found myself worrying about how we were going to cope with two children, I scouted around for blog posts which would show me the experiences and opinions of other parents of multiple children. A lot of these were brutally honest, sharing the bad things as well as the good, which actually ended up with me worrying more and more, the more I read. As I have mentioned previously in the blog, I suffer with nerves, and one of the things I have come to realise over the past week or two is that, in order for me to do the best job I can possibly do as a parent, I need to think positively and remain confident in myself and my decisions. Therefore, in order to do that, I cannot bog myself down with stories about the difficulties of being a parent and I definitely should not be sharing similar stories on my own blog. Instead, I am choosing to make 2017 a year of positivity, in which I acknowledge the difficulties that a parent can face without allowing myself to become consumed by them - either by finding ways to solve the issue or motivating myself (and others) to get through them. I greatly admire all of those parents who choose to share those difficult times with their readers and give an accurate representation of life with children, but for me that can prove just a bit too much. You are very welcome to join me in my journey through positivity over the following year - if you know any techniques for keeping yourself feeling positive or if you have any favourite motivational and inspiring quotes about parenting or life in general, please feel free to send them over to me! I am thoroughly looking forward to promoting positive thinking in myself and others over the next year - I am hoping it will really enhance my life and help to keep us going as a (now slightly bigger) family as the chaos of having a young baby continues. If I can help others feel more positive and see the brighter side of life along the way, then that's even better. - FortheloveofBLOG on the A Mum Track Mind blog. Its definitely good to have a balance - glad to hear I am not the only one that it affects (if you can be glad about such a thing)! It can be difficult! I find myself slipping away from it oh too often.. let's hope we can keep it going in 2017! Thank you! There really are - you think you know a bit more because you've done it before and they prove you wrong!